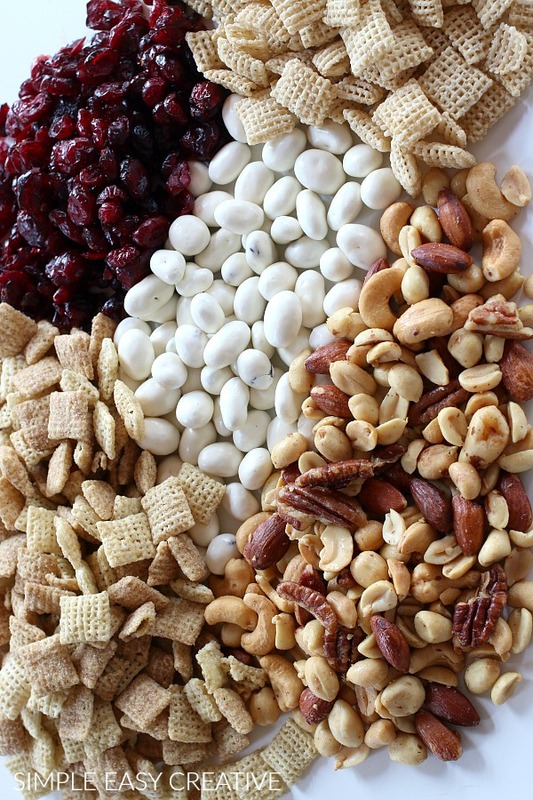 Grab the kids, it’s time to whip up a batch of everyone’s favorite snack mix! 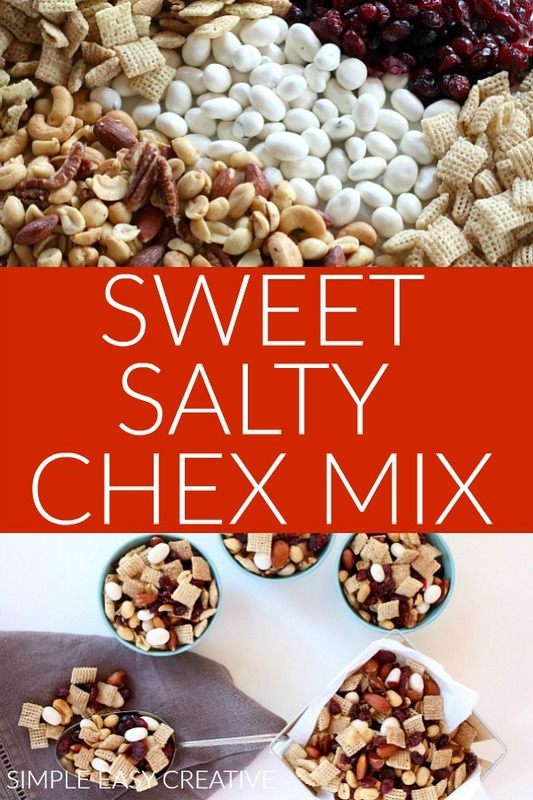 And this Sweet Chex Mix Recipe will quickly become everyone’s favorite! Over the years, the original Chex Mix Recipe sure has changed. My mother-in-law always made buckets and buckets of what she called “party mix” for the holidays. While that recipe is our favorite, there are so many delicious variations. 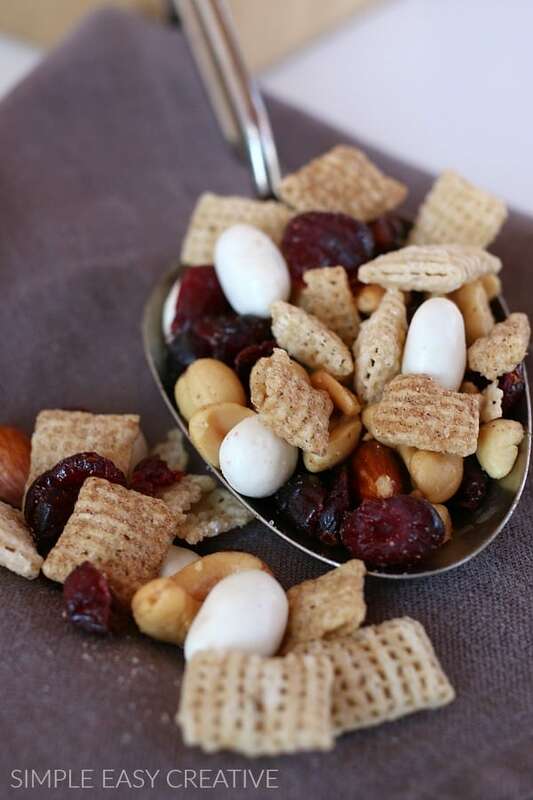 If you like your snack mix more on the salty side, you may like this Buffalo Ranch Snack Mix or Zesty Ranch Chex Mix. Family traditions like board game or movie night are my favorites! Even as our boys have grown up, it’s still a time that we all enjoy. Of course, with a house full of men, watching football on Sunday is a must. And having snack mix recipes ready to go makes serving my gang even easier. This Sweet and Salty Chex Mix Recipe has only 5 ingredients, and in my opinion, the right blend of sweet and salty. A good mix of all the ingredients and in minutes you have a snack ready for game night, to take on a road trip, or even give as gifts. 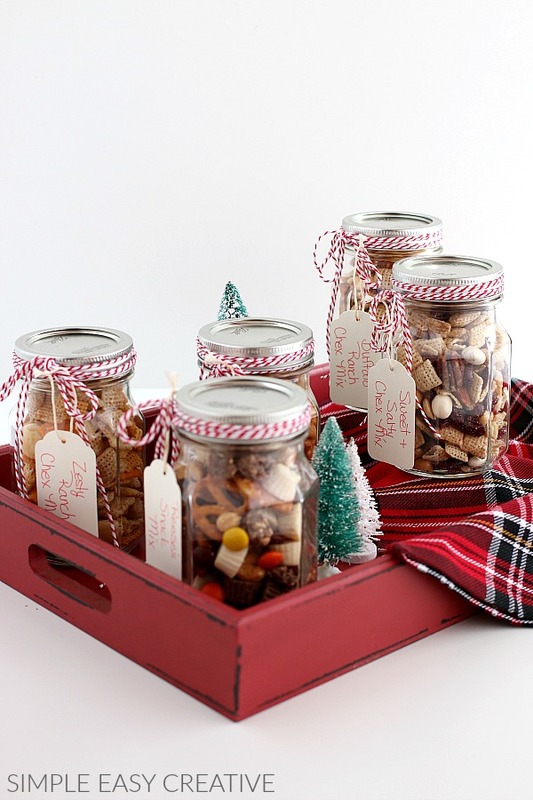 Giving homemade gifts for special occasions is something I just love to do and with the holidays coming up quickly this recipe would make a delicious Christmas snack mix. The combination of cinnamon and cranberries in this recipe reminds me of the holidays! When you make this Sweet and Salty Chex Mix Recipe or any of my other recipes or projects – I’d love to hear what you thought, leave a comment below in the comment section or tag me on Instagram with #simpleeasycreative so I can see them! 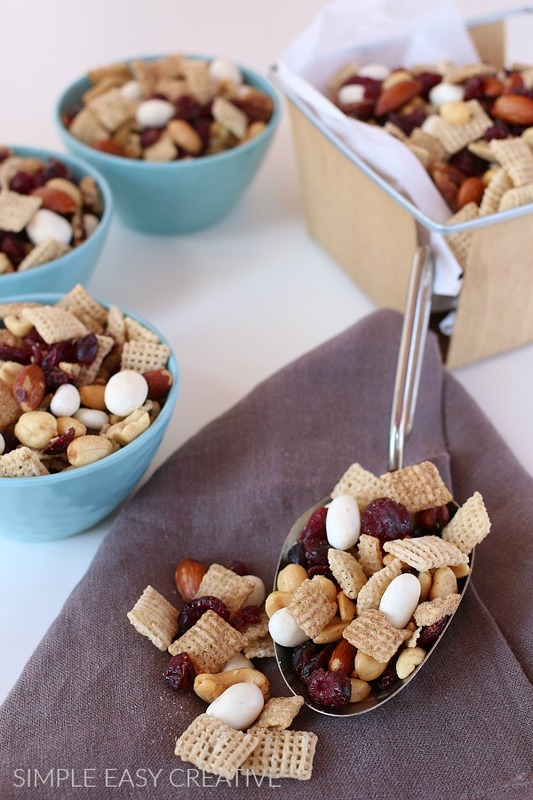 A little sweet and a little salty makes this Chex Mix Recipe delicious for any occasion! This recipe can easily be adjusted if you like it more sweet or more salty. This is awesome! Going to make this for game day! Yes Charity! It’s perfect for game day! My family LOVES this! It would be gone in minutes! I agree Jamielyn! 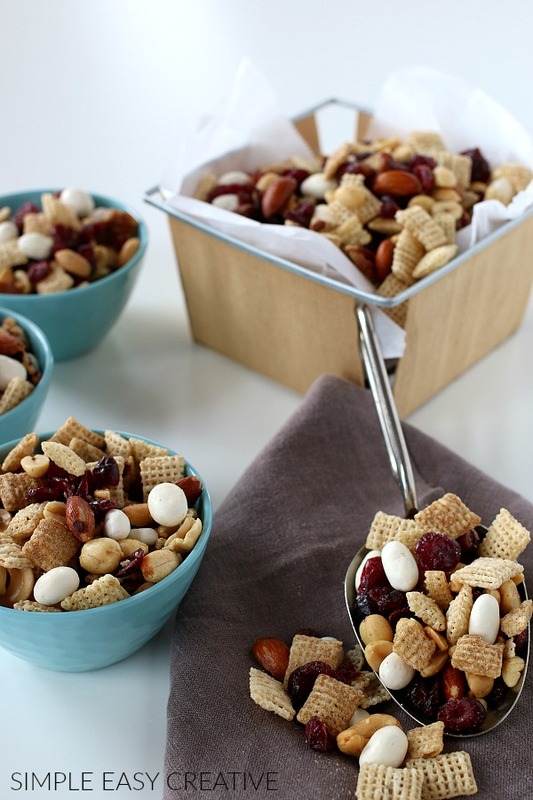 Chex Mix is a family favorite here too! I love sweet and salty! Such a great snack or gift idea! Me too Julie! It’s my favorite! 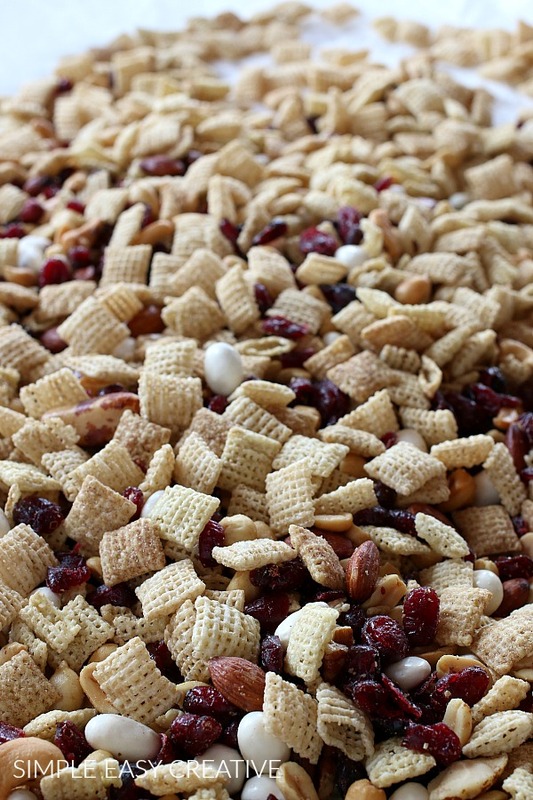 Great all-purpose sweet Chex Mix recipe! Very easy to customize with different dried fruits and nuts. Thanks Tara! Yes I love customizing this recipe!